Behold - The Power Of Paint. When you want quality paint that can withstand harsh treatment from nature and roughhousing from kids & pets, choose Benjamin Moore. Budget paints often need more coats applied over longer time periods to get the same coverage. But quality Benjamin Moore paints give you better, more even coverage with fewer coats. 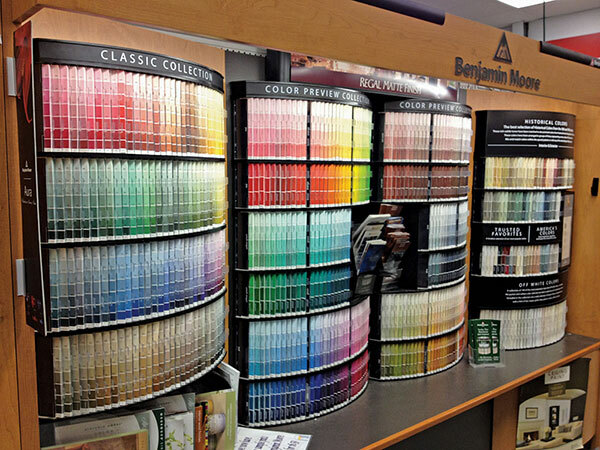 Benjamin Moore paints can last for years without fading or chipping. Select paints come with a warranty, so you'll be covered even if your paint doesn't stand the test of time. Click here for warranty details. In short, Benjamin Moore gives you quality paint that takes fewer applications for an even coat and withstands years of punishment. Want to see what your whole room would look like with a fresh coat of paint? Before you put the brush to the wall, explore the color possibilities with Benjamin Moore’s Personal Color Viewer. Check out the Benjamin Moore paint calculator to estimate how much paint you will need before leaving your home.